Asking for your partner's hand in marriage is one of the biggest moments of your life. Special as it is, surely you want to ensure that this proposal is impressive and unforgettable. 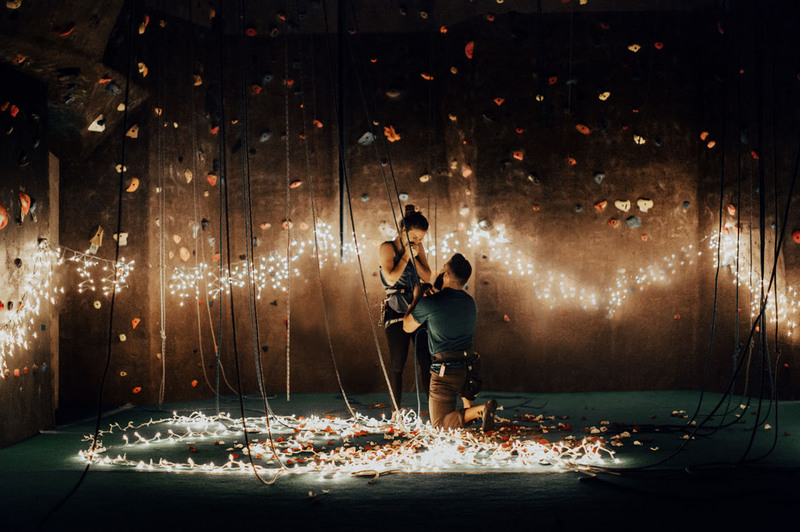 In this article we have compiled 18 proposal ideas for an irresistible proposal. Adopt one of these ideas and add a little personality to make it different and unique. Surely she will say yes before you know it! Who can resist cute things? With the help of babies or animals, you can pop the big question and expect her to squeal over their cuteness. 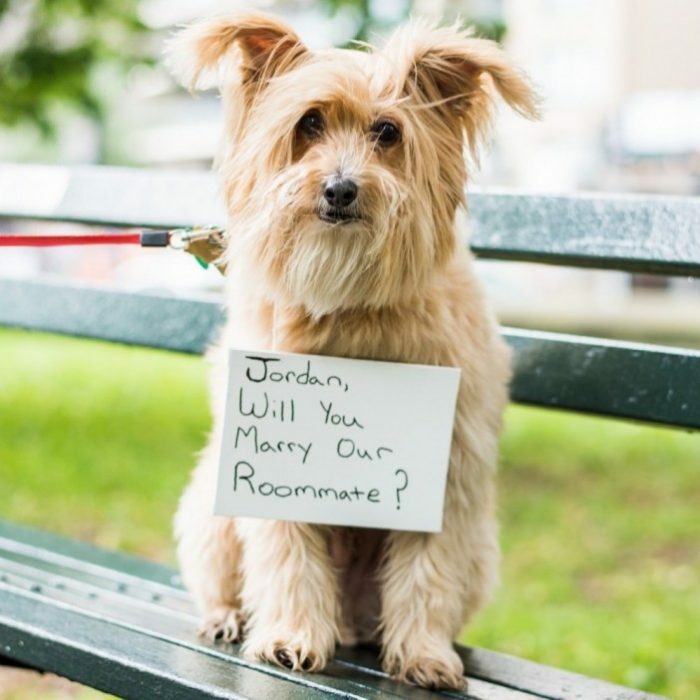 Either a pet or family relative, asking for her hand with their help will add a sense of sincerity and innocence to the proposal. Tip: For a next level idea, hire a trained dolphin and ask her during a scuba-diving trip! As the shutters start to click, pull out the ring and surprise her. There's no way she can hide that surprised expression and you can get it on camera as well. How convenient! Tip: Have your family and friends waiting outside the photo booth for the ultimate surprise! 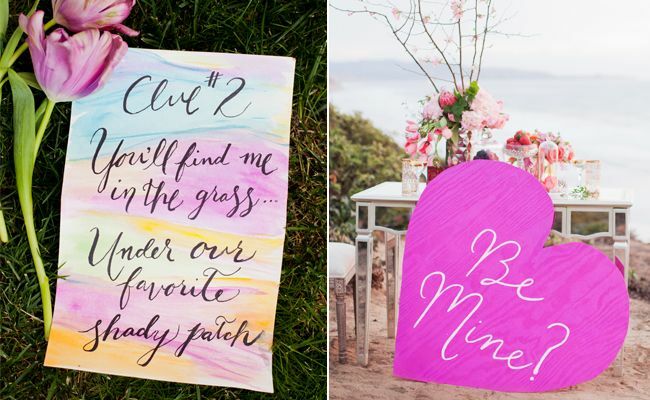 Turn your proposal into a treasure hunt by scattering clues for your partner to find. It can be done in your home or neighborhood, depending on how grand you want the hunt to be. Be sure to give relevant clues and ask for a family member or friend to guide her as well! Tip: Bring her back to places you've had your dates or take her to pamper herself before meeting you in the final spot! An intimate proposal with your closest people witnessing the happy moment is always a good idea. She simply wouldn't forget the intimacy of the moment. Tip: Propose a toast to get everyone's attention and then go for the big question! 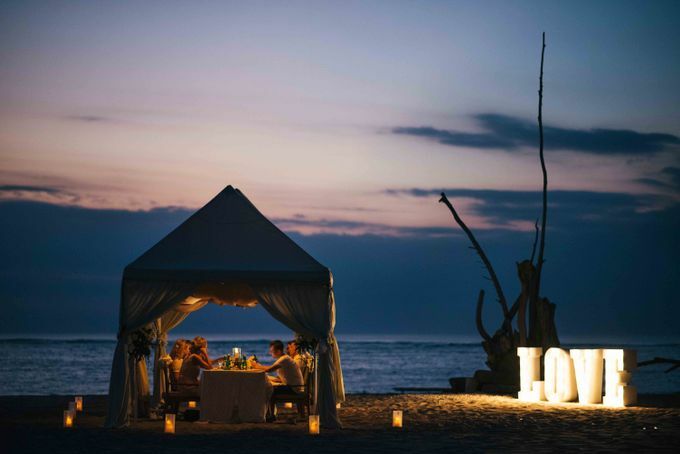 Another way to make a proposal worth remembering, do it during a holiday trip with your loved one. It doesn't have to be somewhere far away, a weekend getaway to a nearby city is also a good idea! Tip: You don't have to do it when you reach the city, do it on the plane or in the car, and then celebrate the engagement during the holiday. Create a collection of memories of you and your partner, beautifully kept inside a box. Leave a note behind each photo and let her immerse in a nostalgic bliss before she gets to the question. Tip: Before she starts opening photos, you can ask her to play a specific song, or your song together, to set her mood for a walk down memory lane. 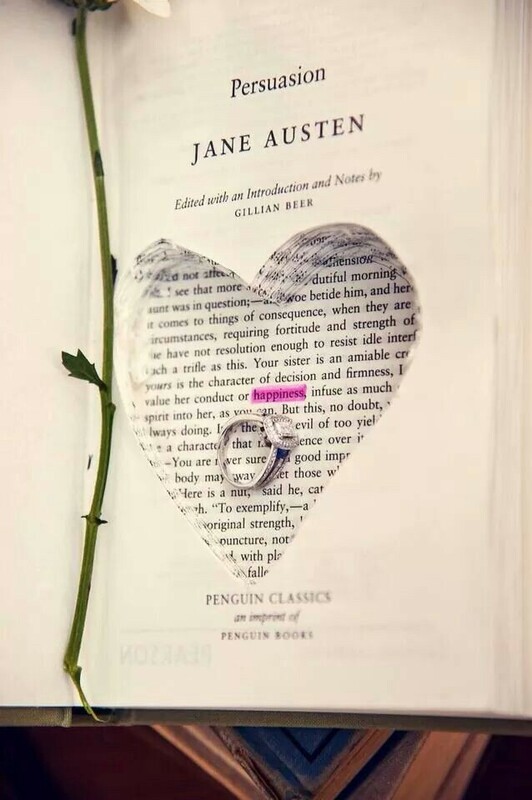 If you are one of the literary couples, this idea would suit you very well. Create a poem or short story ending in asking for her hand in marriage. Patiently wait for her surprised expression as she gets to the end part! Tip: Not a writer? Worry not. Hollow an old book, put the ring inside, and ask her to read a specific page from the book. Imagine her surprise when she finds out! 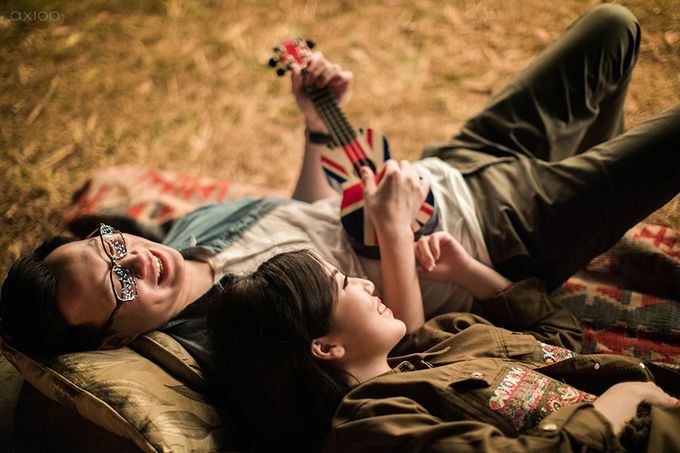 One of the best ways to express your love is through a love song. Sing them a song you write especially for this moment or perform a significant song before you propose. Tip: If you can get a song you wrote recorded professionally before the proposal, even better! If both of you love extreme sports, this idea might be suitable. You can put your proposal on top of the wall or do it after she comes down. Tip: Take this idea to the next level by going on a real tracking up the mountains and then propose to her once you reach its peak. 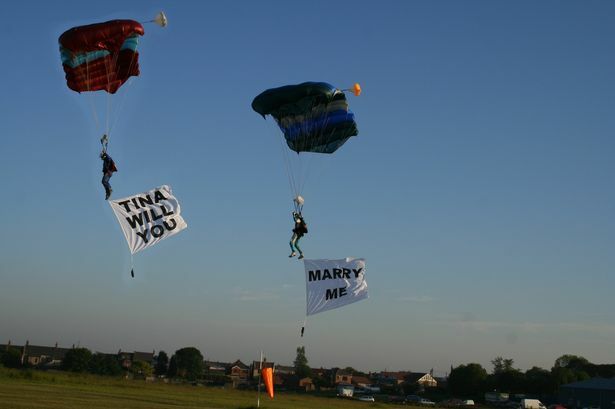 Tip: Work with the flight attendant or pilot to create an entertaining proposal for all the passengers to enjoy as well. Woo your partner by creating a short movie from your memories from pictures and videos. 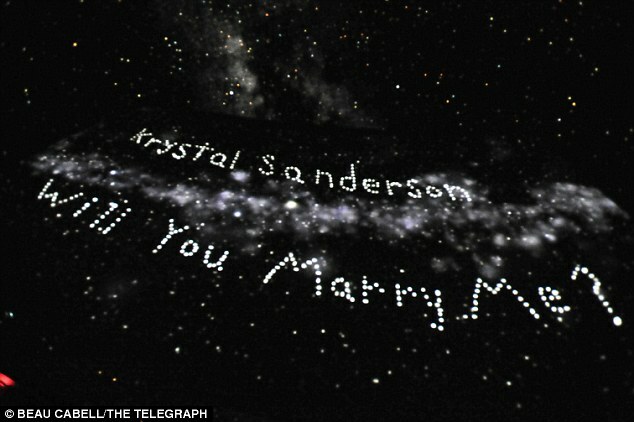 Then at the end of the video walk up to her and pop the question. Tip: Rent the entire movie theater and play your movie as a trailer before the actual movie comes up! 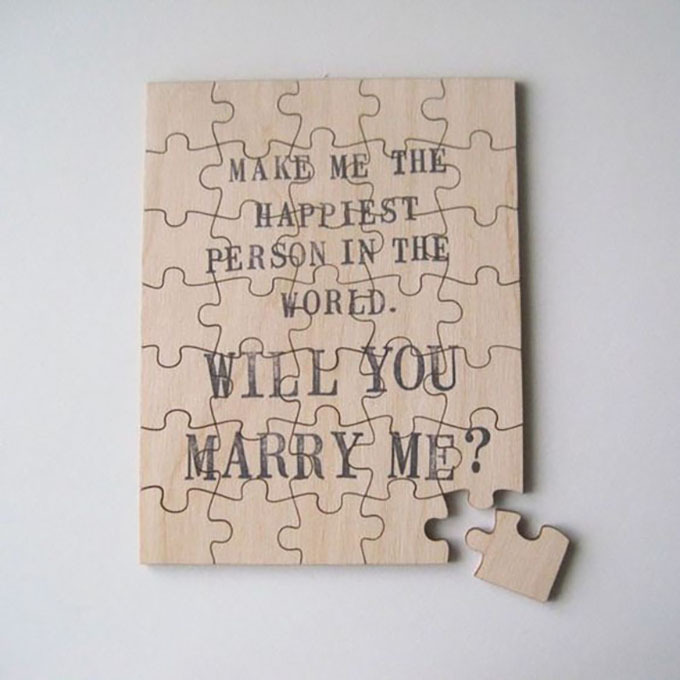 Put your question on a customized jigsaw for an added sense of fun. Imagine how intrigued she will be to finish up the whole puzzle! Tip: Add some photos to the puzzle and prepare a frame to remember it for a lifetime. 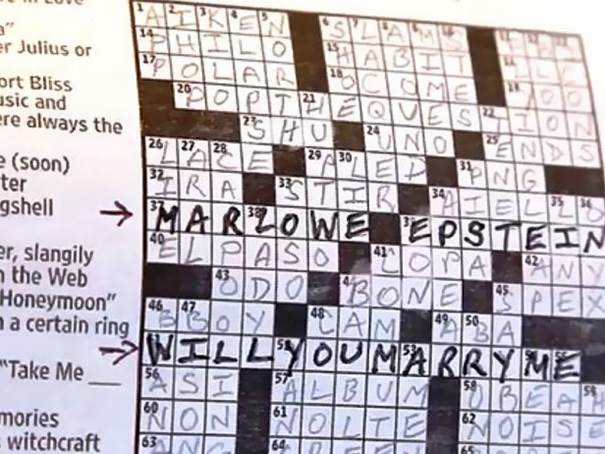 Pop your question through a crossword puzzle with the words forming the big question as answers. Tip: To not make it so obvious, insert other general questions so she will not suspect a thing before she gets to the end of the puzzle. With the nature as your setting, this proposal is one she won't forget. Prepare the question largely printed on the drop off location so she sees it the second you arrive. Tip: Even better, print a large banner so she can see it while you two are on the air together. While your partner goes on a ride, stand outside the carousel and spell the words as she turns. Afterwards, wait by the gate with a ring on your hand. Tip: Not a fan of carousel rides? There are plenty of other rides in the amusement park you can use. 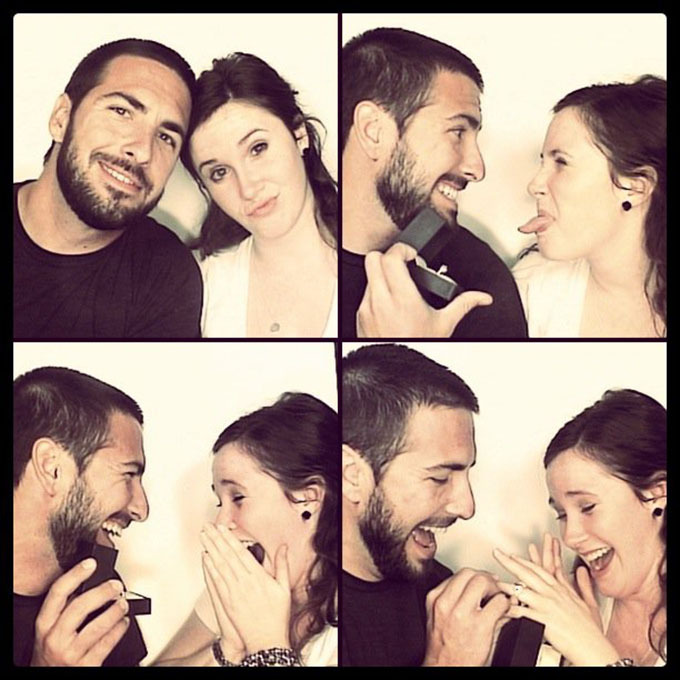 Ride a Ferris wheel and propose at the very top? No problem. Just be sure you don't drop the ring! Tip: You can pretend to ask her to check out this cool website you found, without knowing its intention! 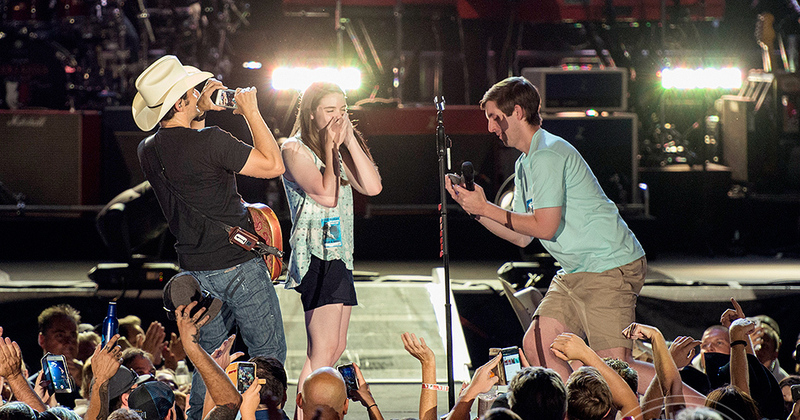 If a band you two are fans of decides to hold a concert, this might be the perfect time to propose. During a favorite song, sneak up behind her and present the ring carefully. Tip: If she's one that likes grand gestures, you can also ask to get up on stage and propose to her with all the crowds watching. Pop a question during a visit to the planetarium while stargazing at the night skies. Tip: Get a star dedicated to your spouse as a present to remember the engagement! One final tip, be sure there's a photographer or videographer that will document the loveliest moment of your life. This way, the footage can also be shown on the wedding day and you will have something precious to look back upon after years of marriage. Which one of the ideas above is your favorite? Tell us in the comments below and also add some ideas you think is a great way to propose!